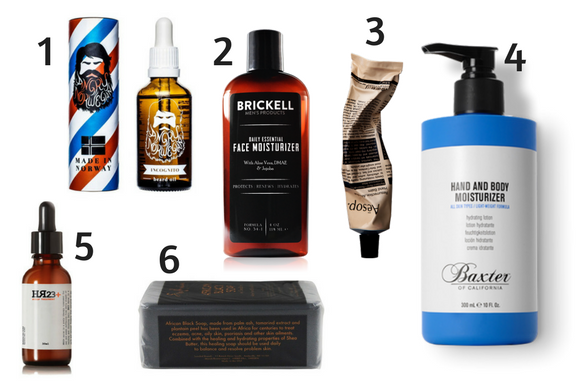 SUPER SIX: FEBRUARY GROOMING PICKS! Direct from Ålesund, a fishing town set among the fjords of western Norway, Angry Norwegian offers a premium no-nonsense perfume free beard oil – Incognito. Will keep your skin, and most important, your beard soft, shiny, smooth and healthy. This sublime, highly sought-after product contains a careful blend of fragrant botanicals and skin-softening emollients that deliver rich hydration to hands and cuticles. Formulated for frequent use. Made from 43 potent key beneficiary ingredients, HR23+ KGF Scalp Therapy Serum is designed to help prevent the pattern of hair loss and encourage the formation of healthy hair growth in men and women suffering from early stages of hair loss and thinning hair.